China has increased high tech exports to Russia 300% in the past five years, while its imports from Russia are dominated by commodities, the Economic Development Ministry said. 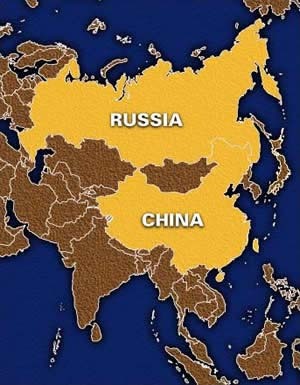 China accounted for the bulk of Russia’s bilateral trade, which reached $60 billion in 2010. Russia has increased equipment exports by only 30% since 2005, according to a ministry report on economic relations with China. No government documents pertaining to Russia’s relations with economic partners are ever published. There is a confidential part to Russia’s foreign economic strategy through 2020, which gives a detailed description of goals and risks related to contacts with each of Russia’s economic partners. Based on this strategy, two years ago the Economic Development Ministry worked out very specific country plans through 2012. The 2010 report on the China plan progress is addressed to Deputy Prime Minister Alexander Zhukov, who chairs the Russian-Chinese Commission. However, the ministry report indicates that the progress has been unimpressive so far. Russia’s imports from China are $19bn greater than exports, which means the bilateral trade balance went negative last year, after a small surplus in 2006. China is determined to boost high quality manufacturing, commercializing its own projects or buying foreign licenses. Its products put up strong competition to Russian and U.S. goods, said Yury Dyomochkin, deputy head of the Russian-Chinese Center of Economic and Investment Cooperation. Substantial government support ensures a booming growth of the country’s high tech industries, while “in Russia, many industries have simply died and no one seems to care,” he added. China is building state capitalism, in which the government strongly supports domestic producers. In fact, the ministry is also aware that Russian equipment is not globally competitive. Its top priority in relations with China is “gaining a foothold as a leading supplier of hydrocarbons and electricity, as well as expanding Russia’s presence in China’s nuclear power generation sector,” according to the report.